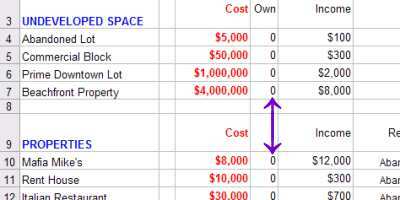 This guide uses a spreadsheet to determine which property is the best buy for you at the time based on your current property values. It will help you compute which property will produce the most income for your money that you have available. You'll need to DOWNLOAD THE SPREADSHEET, then EDIT on your computer. In Mafia Wars go to your Properties page. 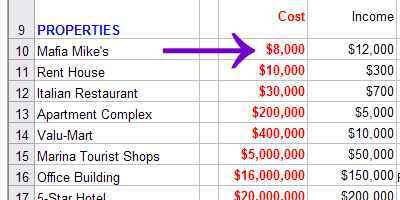 Look at your costs on Undeveloped Space and enter those cost from your game into the spreadsheet. The spreadsheet will calculate your quantity owned. You can double check to make sure the quantities match what your Mafia Wars shows. 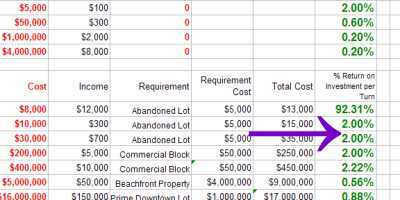 Look at your current cost for each Property and input that amount into the spreadsheet. Exhaust all of your resources(energy & stamina) to earn as much money as you can from jobs and attacking/robbing. 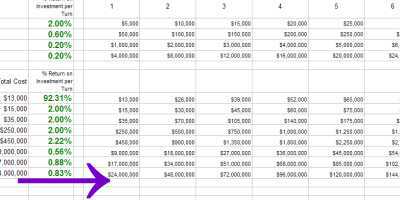 In the spreadsheet, scroll to the right and find out how many of the properties you can buy for the money that you have available. Step 8 Ummm... Buy 'em. 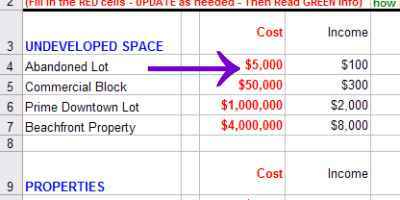 Yeah....ehh... don't forget to actually buy the undeveloped space and/or properties now! ** If you have money left, start the process over!